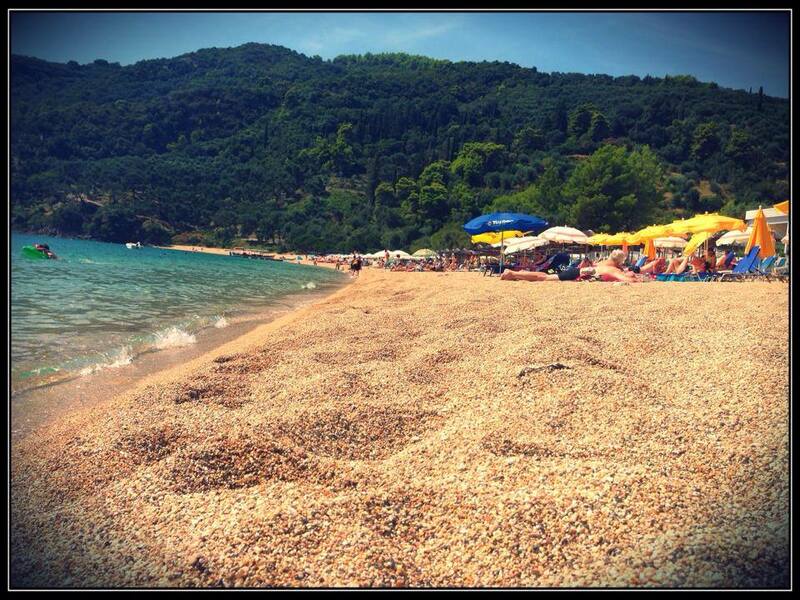 We had only one thing in mind on our second day in Parga and that was to spend the day in a beach. Unlike the days we’ve had in Lefkada and Corfu where we used to go beach hopping all the time, we plan not to go anywhere else but just that one beach. We chose Lichnos beach randomly and I would say that it was a very good decision. So after our breakfast at the hotel, we started our way down to Lichnos. Lichnos beach is about 4km away from Valtos beach and the drive was no more than 15 minutes. As mentioned on my previous post, I was already very tired when we were in Parga so a drive of only 15 minutes to go to the beach was really good for me. We were greeted by a very scenic beauty when we arrived in Lichnos – a bay surrounded by hills with lush vegetation, a clear blue sky which somehow reflects back to the clear blue water of the sea that is in front of us. The beach was pebbled, the big pebbles which is my favorite kind as removing it from your swimsuit is not as annoying as sand. The sea was calm and the waves were gentle. There were a lot of families but since it wasn’t that packed when we went there, you will still have your own private and quiet moment. Well it’s not so hard to ignore the faint noises of the kids around you when you’ve got a beautiful scenery in front of you to stare at. We picked a sun bed and ordered a frappe, we’re in Greece after all and the Greeks do love their coffee. I went in the water after a while and the coldness of it was a welcome treat for me as the sun was at its best when we were there, it was around 12 noon at the time. From the sea, the view of the bay was much more nicer. The mountains topped with the greens of the olive groves surrounds the cream-ish color of the shore which then joins the blues of the sea. It’s a picture perfect view if only I am able to bring my camera with me in the water. The water was clear, very clear. I can see the pebbles at the bottom of the sea just as if I was standing on the beach – that clear. I swam away, farther away from the shore and began floating. The sky was blue with some bits of clouds here and there. As I float, I put my ears under the water and can hear the very faint sounds of the waves as it reaches the shore. It’s extremely relaxing and as much as I don’t want to say the words that I’m about to say next because it sounds too much of a cliche I’d still say it: at that time as I was floating out on the sea I thought to myself “I can stay here forever“. Sounds too corny but it sounds too real to me. The night before, the town of Parga stole my heart and such a coincidence that the very next day, I felt like I can stay in one of their beaches forever. 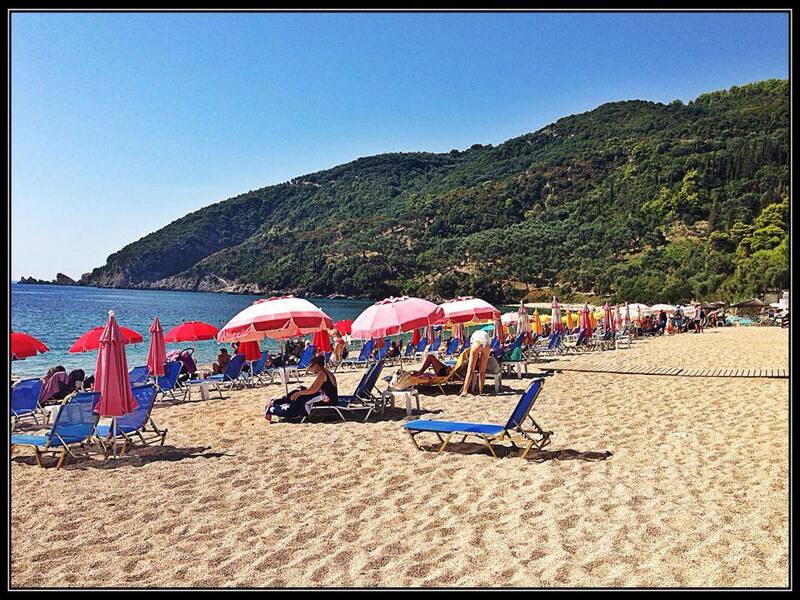 Needless to say, I think if I will ever move to Greece – I’d live in Parga. When I went back to the shore I decided to work on my tan because as you know, life is more fun with a tan. 🙂 So I got my book from my bag and dug a hole for me on the shore. I laid down there with my legs being tickled by the soft waves and my head propped up by a pillow made out of the pebbles on the beach. I stayed there for a good 3 hours baking myself to a golden tan. I tried to sleep but I couldn’t so I just finished my book. 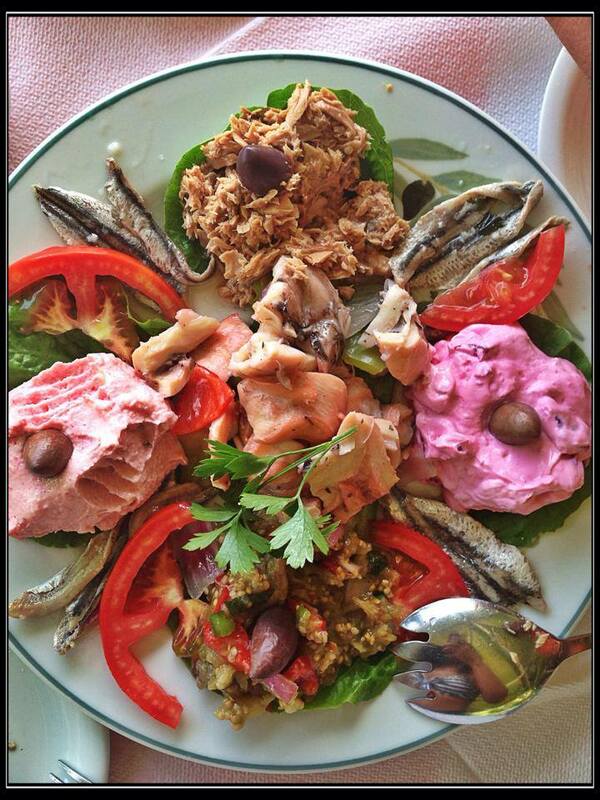 The boyfriend called me after some time and expressed his desire for lunch, we went to the nearest taverna and ordered an ouzzo mezze. It’s kinda like a seafood platter but is best partnered with ouzzo or chipuro but since I don’t drink any of those, I downed it with a Heineken shandy. After lunch, I sun bathed some more until it was time to go. That was the laziest yet most enjoyable day we’ve ever had during this trip and after this day, my love for Parga just grew even more. 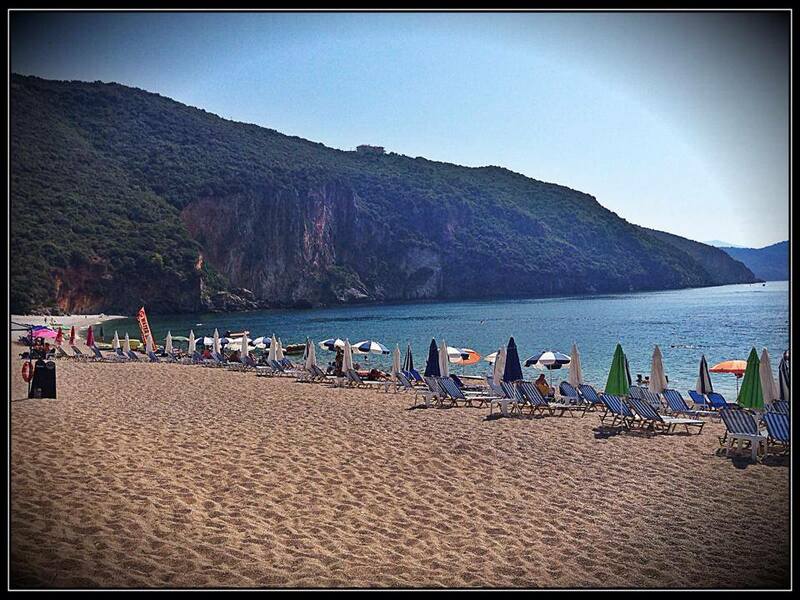 Lichnos Beach and Parga is also one of my favorite places in Greece. 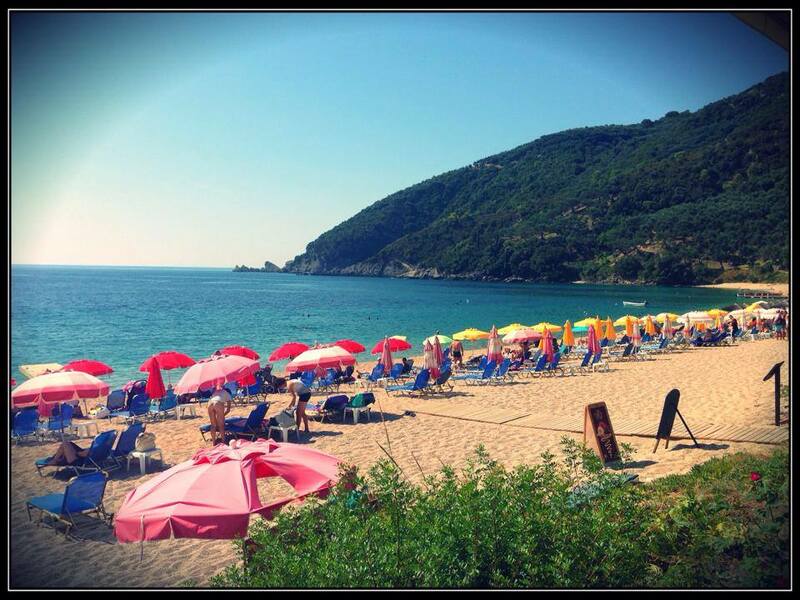 The beach is one of the most beautiful in the region and Parga is just fantastic. An indescribable small place where you just likes to spend your vacation. There is much to see. Many sights, delicious little family-run tavernas and very friendly people. We always stay in the Spiros Studios in Lichnos.